sitting in a chair next to the student on the piano bench. 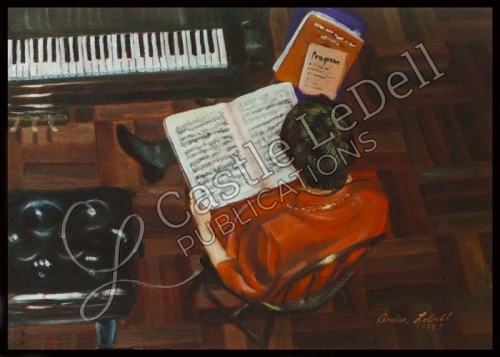 studying a music score as she awaits her student. ready to nurture, evaluate and most gently criticize.